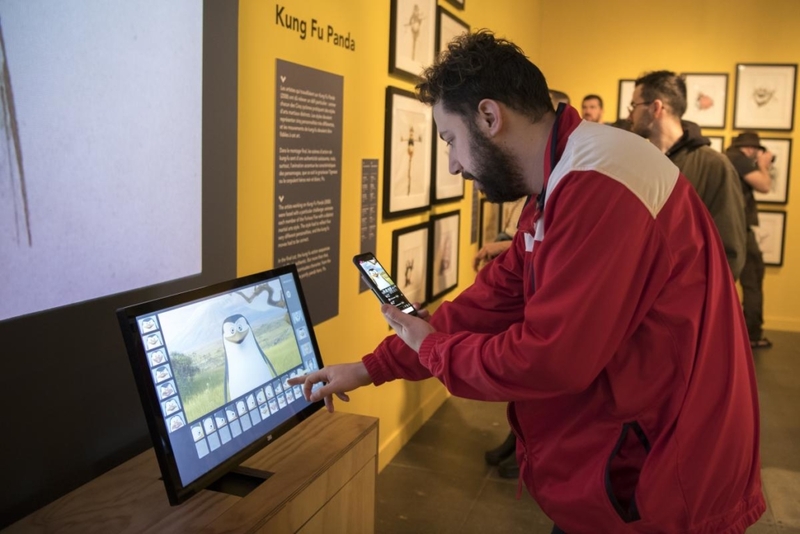 For its twentieth anniversary, DreamWorks Animation partnered with the Australian Centre for the Moving Image (ACMI) to launch a major new exhibition at the Melbourne museum, DreamWorks Animation: The Exhibition. 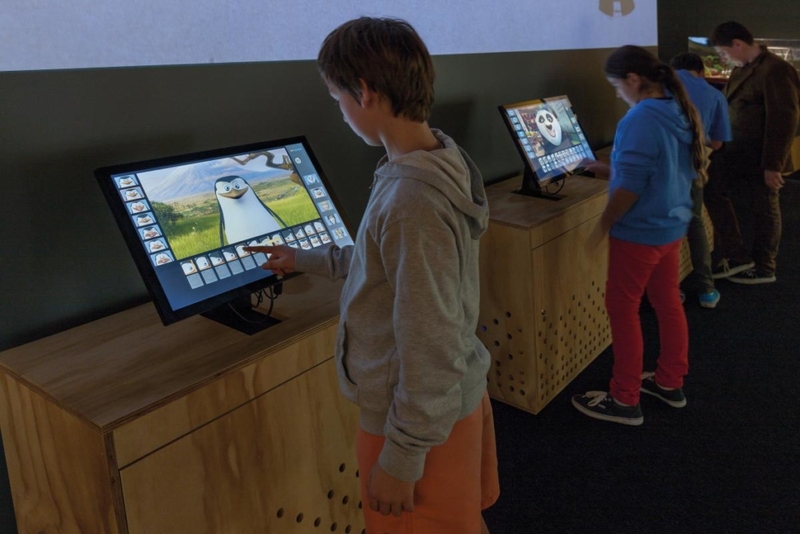 As a client to ACMI and co-sponsor of the exhibition, DigitalFish created interactive kiosks showcasing traditional (hand-drawn) and 3-D animation methods. The touch-screen and pen-based digital kiosks engage both adults and children in experimenting with animation drawing, face animation of well-loved DreamWorks characters, computer-graphics scene lighting, and physics-based models for visual special effects. DigitalFish’s production technology within the kiosks captures the essence of the professional animators’ tools as used at DreamWorks, but in a streamlined and accessible fashion, to engage and educate younger audiences about core animation and computer-graphics concepts. 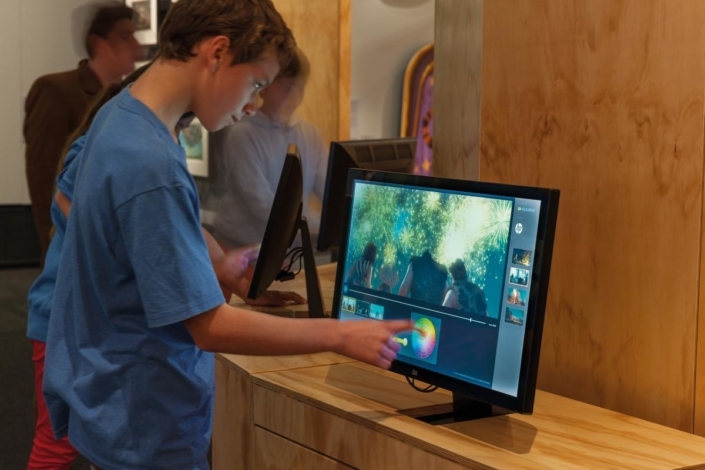 These kiosks have proven to be among the most popular elements of the exhibition. Based on our Reflex Sketch 2-D animation system, Animation Desk offers museum visitors the chance to casually and quickly immerse themselves in a computer-assisted workﬂow for traditional 2–D animation. 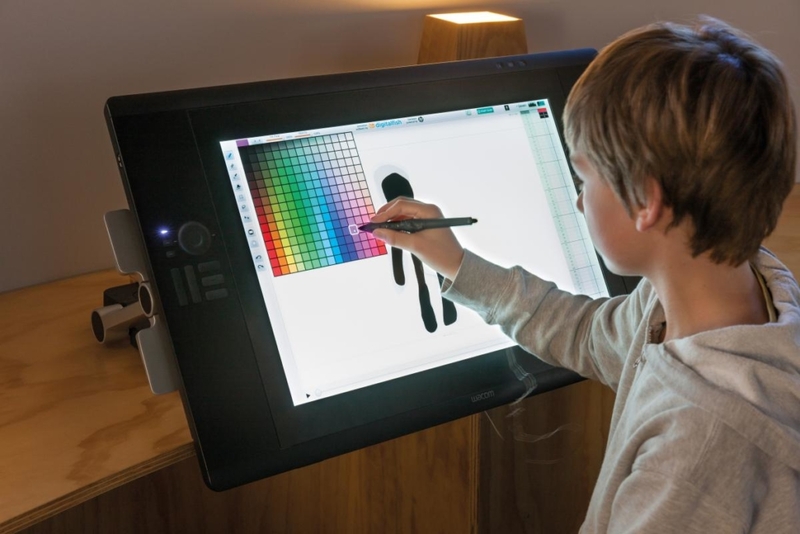 The user input and display device is a Wacom Cintiq 24HD pen tablet with a pressure-sensitive stylus. 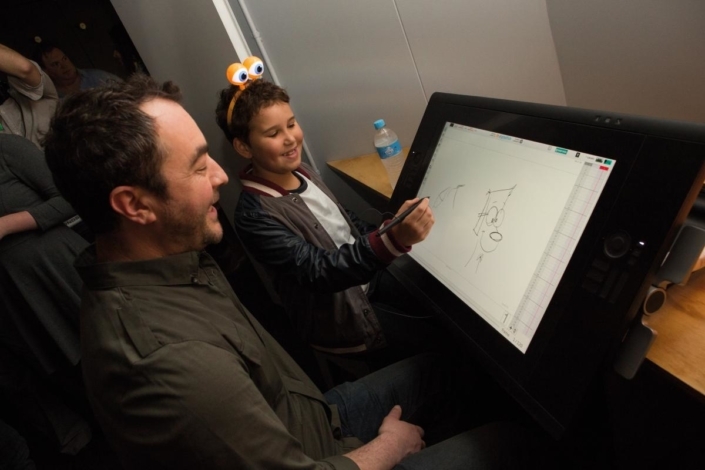 Animation Desk provides a modestly simplified version of the system used daily by professional animators. 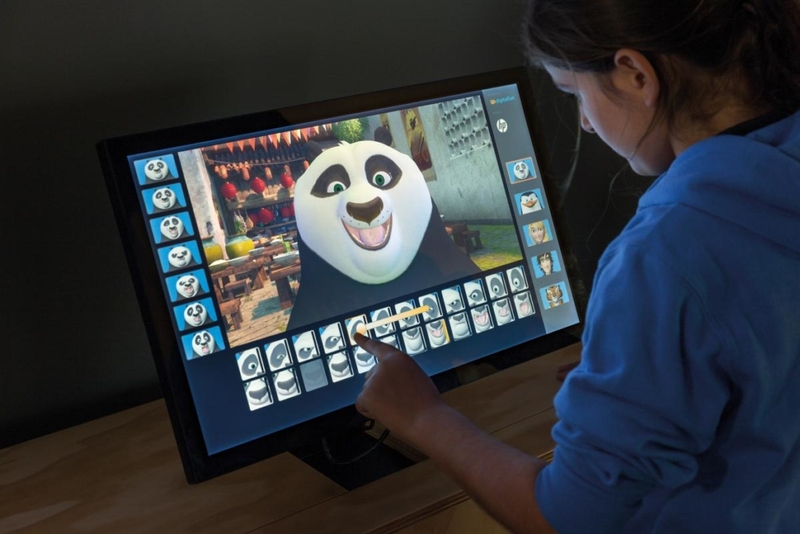 The Face Poser kiosks allow users to adjust the facial pose and expression of beloved DreamWorks characters. Using only an intuitive touch-based interface, users first choose a character then select among existing poses or individually manipulate the detailed facial-pose controls to adjust aspects of an expression. 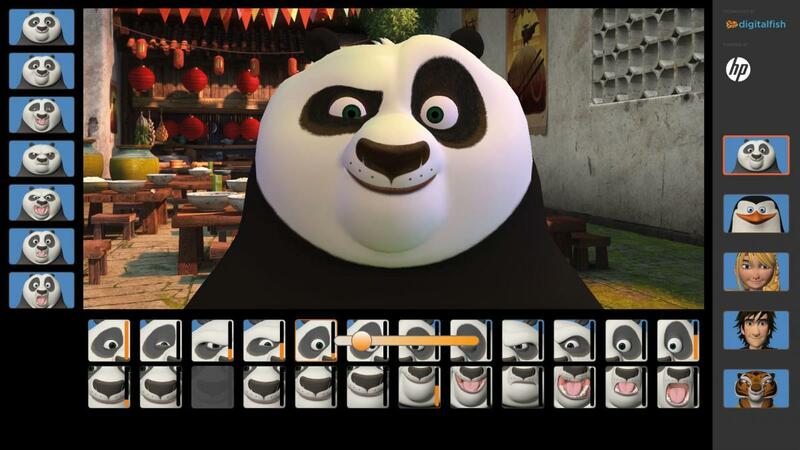 The touch sliders allow users to scale the face shapes to extreme values, to the delight of younger users. 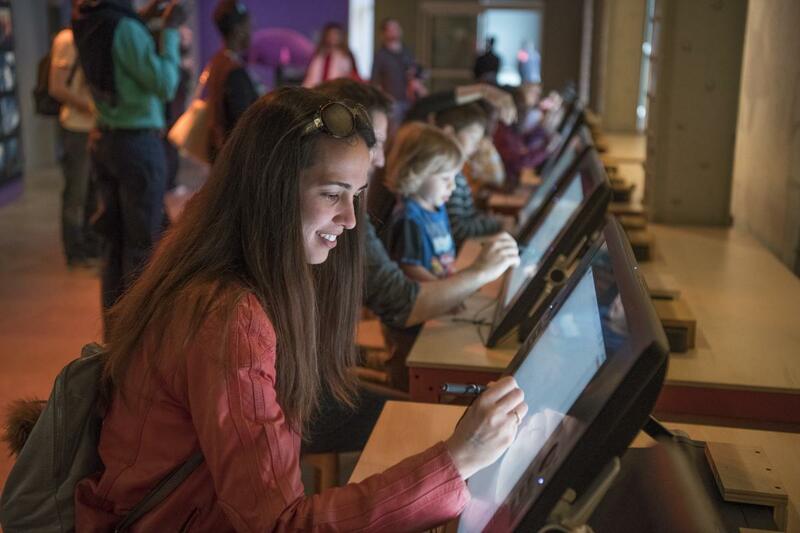 Lighting Designer invites visitors to break down, change, and build up their own versions of complex shot lighting from actual animated scenes from DreamWorks films. 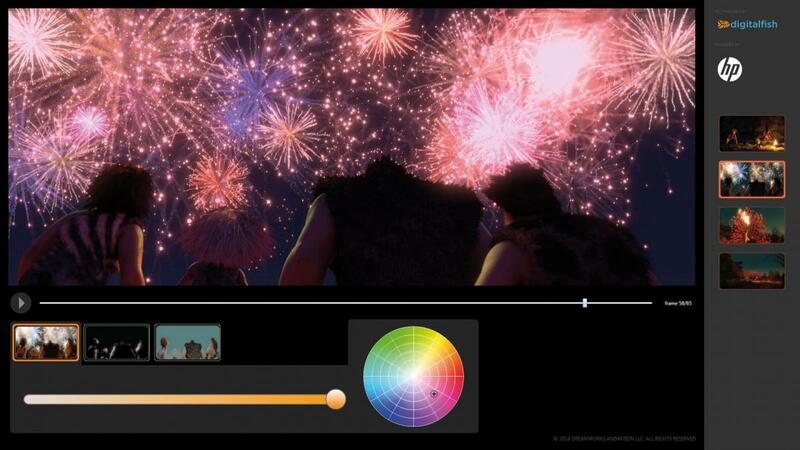 Lighting changes are displayed “live” on a still image as the user manipulates sliders adjusting the contribution and color of various lighting sources. 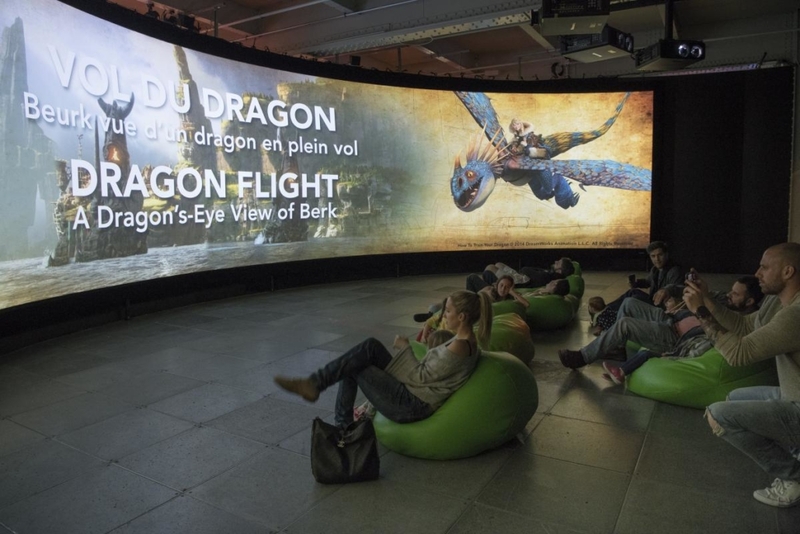 The animation can be played back immediately in high-quality with the modiﬁed lighting. 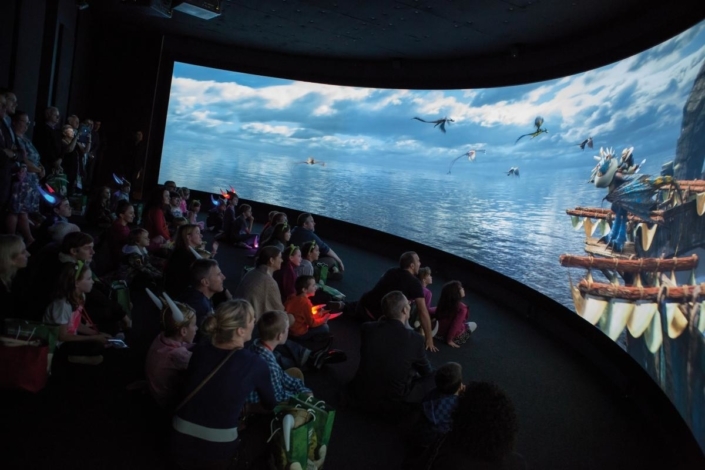 Ocean Simulator provides a window into the world of animation special effects, simulating varied sea states found on open water. 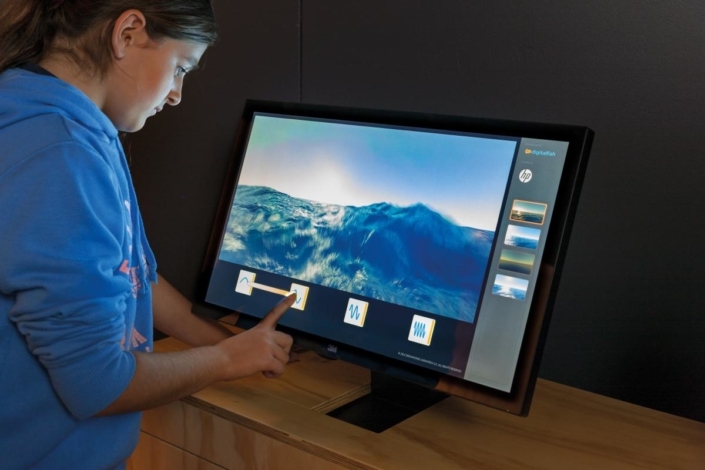 Younger children experience the kiosk as simple sliders that vary the ocean surface from dead calm to wildly rough. 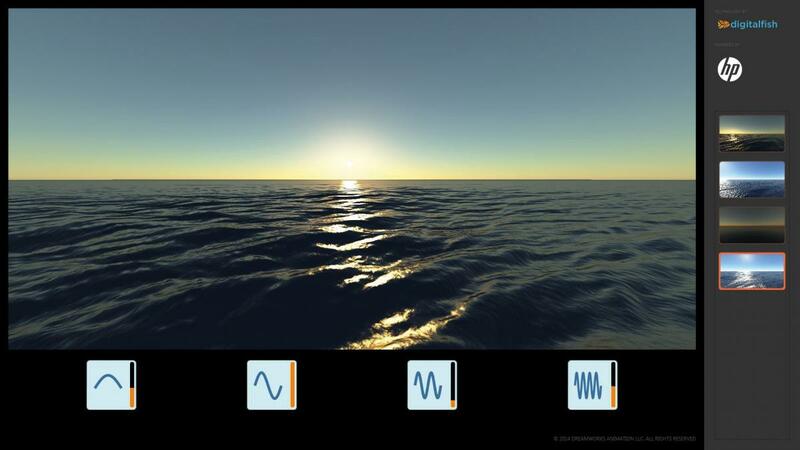 Older children and adults may begin to appreciate the intricate relationship between individual slider axes and the combined effect of small wavelets interacting with large waves of differing height and wavelength. 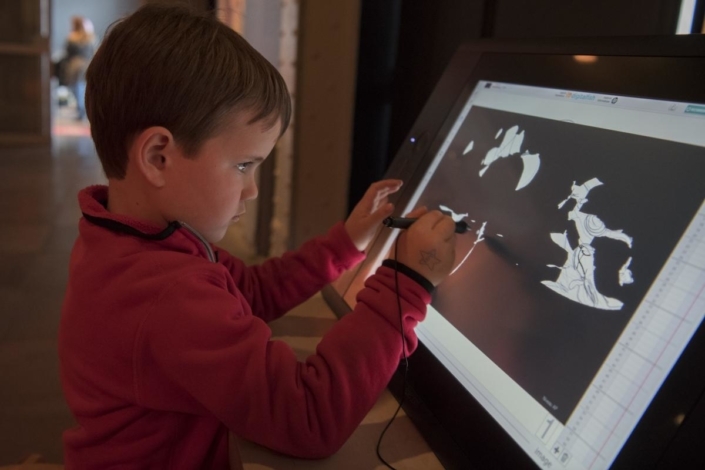 The Animation Desk kiosk by DigitalFish has proven to be incredibly popular with the exhibition. 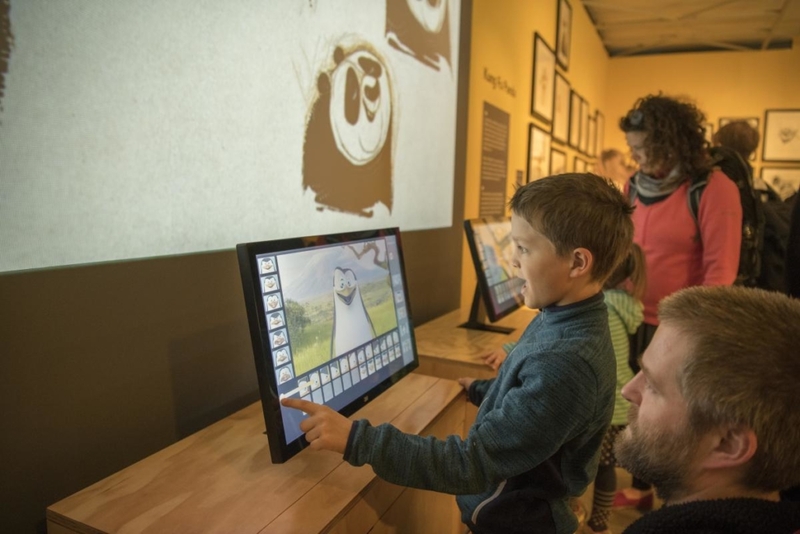 Our brief was for an interactive kiosk which would engage an audience of all ages in a fun way, but also provide a behind-the-scenes look at the machinations of developing an animated film, allowing visitors to become a digital animator. Both ACMI and DreamWorks were also particularly concerned that the kiosk would be based on software that DreamWorks animation artists’ used themselves at the studio. 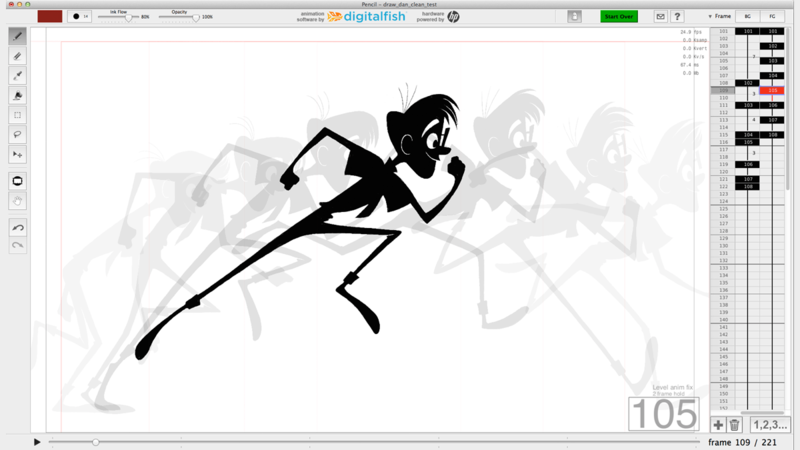 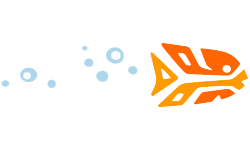 The intuitive interactive that is The Animation Desk meets that brief and in doing so the team at DigitalFish have shown their deep commitment to not only design, but to usability. We are eagerly planning additional kiosks within the exhibition.